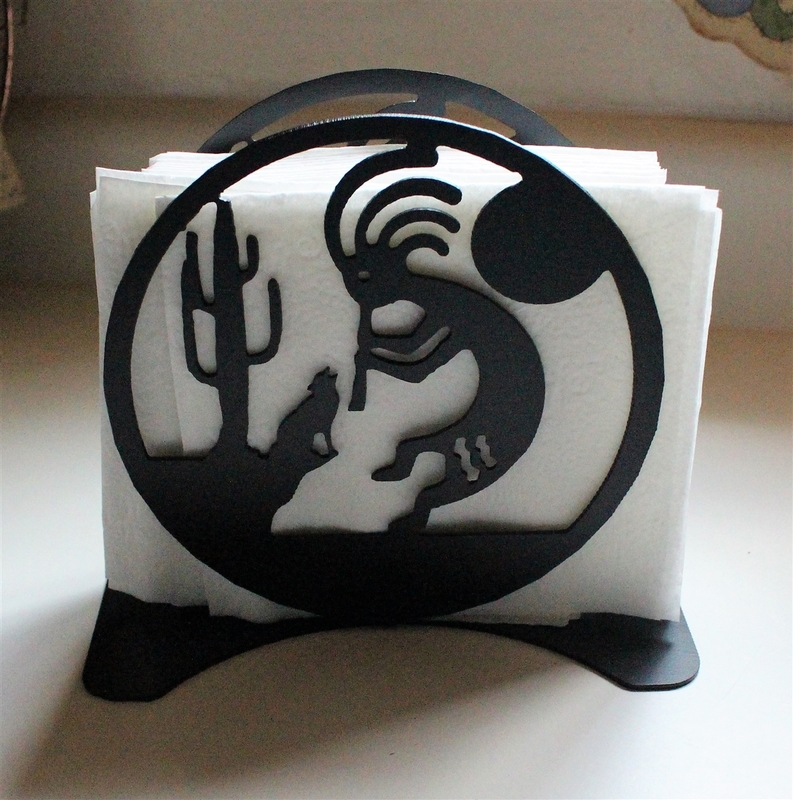 This Southwestern themed napkin holder is MADE IN USA of 14 gauge steel. 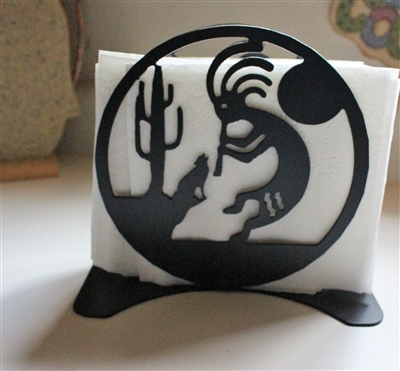 It features a Kokopelli dancing and is available in a flat black powder coat finish. The napkin holder measures roughly 7" tall It accommodates various sizes of napkins and would be a perfect fit in any kitchen. Base is 5" x 8"
Does not include napkins as shown in photo.